Contact lenses are sometimes worn by people for aesthetic purposes but for most, these thin, clear disks of plastic are used to help correct refractive errors like myopia (nearsightedness), hyperopia (farsightedness), astigmatism and presbyopia. It is usually preferred by people who do not want the hassle of wearing prescription glasses which tend to fall off especially when the wearer is involved in a physical activity or sports. If you have frequent eye infections, severe allergies, perennially dry eyes or if you work in an environment that is always dusty, your doctor may advise against contact lenses because these factors increase the risk of infection. When it comes to contact lenses, one of the most common issues is the risk of infection. However, this risk can be significantly reduced by following proper care instructions and ensuring correct handling of the lenses. Single use daily disposable lenses are the “safest type of soft contact lenses”. If you are one of the millions of people around the world who wear contact lenses to aid their vision, take note of these important safety and maintenance reminders from the American Academy of Ophthalmology (AAO), the Contact Lens Association for Ophthalmologists, the Cornea Society and the American Society of Cataract and Refractive Surgery. Wash your hands before handling the lenses. This is pretty basic and self-explanatory. Don’t forget to use soap and to dry with a lint-free towel. 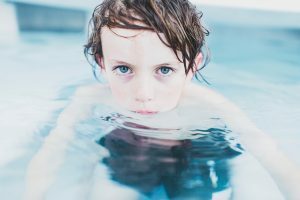 Do not wear your lenses while swimming or while in the tub. The bacteria in these waters can easily infect your lenses, and consequently, your eyes. 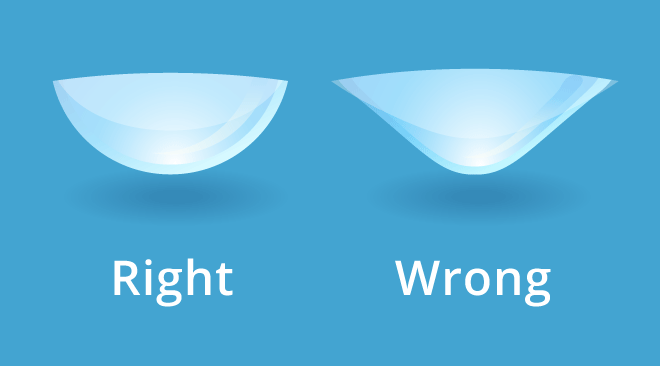 Do not rinse or wash your contact lenses in water. There is a special solution for that and you should only use that. Saliva is also not a sterile solution so keep those lenses away from your mouth. Wear and replace contact lenses as prescribed by your eye doctor. Do not wear them longer than advised. Do the “rub and rinse.” Using the prescribed cleaning solution, rub your contact lenses with your fingers then rinse them with solution before soaking them. It is also crucial to clean the contact lens case because it can be a source of contamination and infection. Use the solution to clean it, not water. And then leave it open to air dry. Do not re-use old solution or top off the solution in your lens case. And make sure that the tip of the bottle of the solution does not come in contact with any surface. Keep the bottle tightly sealed and store in room temperature. If it hurts, if it’s swollen of if it’s turning red, remove the lenses right away. Consult with an eye care professional immediately. Stop smoking. Studies have shown that contact lens wearers who smoke have a “higher rate of problems” compared to non-smokers. Be wary of decorative lenses. These lenses may not have undergone the same stringent manufacturing standards as the ones prescribed by an eye care professional. Don’t forget your regular eye check-ups. If you wear lenses, you should go in for check-ups regularly to see if you are wearing the right prescription or to check for any complications. Contact lenses first before make-up. This is to ensure that you do not transfer any oils, creams or powder to your lenses. The same principle applies when removing eye make-up. Go for water-based eye cream to reduce the chances of irritation. Do not apply eye liner between your lashes and your eye. Keep it away from your eyes. Be conscious about your eye make-up. Replace your kit every three months; do not use the old ones because bacteria may be lurking in the product and it may likely find its way to your eyes. And while sharing is great, it doesn’t have to apply to make-up. Did you know? 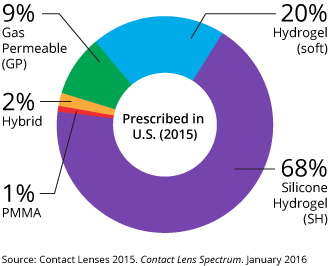 CDC says around 40.9M Americans aged 18 below wore contact lenses in 2014. All About Vision identifies five types of contact lenses based on material. 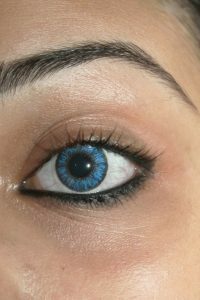 Soft lenses: Made from hydrogel (gel-like, water containing plastic); very thin and pliable and easily conform to the front surface of the eye. Silicone hydrogel lenses: Advanced type of soft contact lenses; more porous than the regular hydrogel lens; allows more oxygen to reach the cornea; considered as the “most popular lenses prescribed” in the US. Gas permeable lenses: Rigid contact lenses that are porous and that allow oxygen through. Hybrid contact lenses: Provides comfort like soft or silicone hydrogel lenses combined with crystal clear optics of gas permeable lenses. PMMA lenses: Made from transparant rigid plastic material which is also used as substitute for glass in shatterproof windows; has excellent optics but do not transmit oxygen; now considered as “old-fashioned” and rarely prescribed by eye doctors. Contact lenses can also be categorized according to its design and purpose. Spherical lenses are the most common. These rounded lenses can correct myopia or hyperopia. Bifocal lenses are ideal for presbyopia. Toric lenses are normally used for astigmatism. Orthokeratology or Vision Improvement Therapy (VIT) lenses are specially designed overnight, gas permeable contact lenses used to fight myopia. It is worn at night and when the wearer wakes up in the morning, the vision is much improved and he/she can go on the rest of the day lens-free. Got tips or stories to share? Join us on Facebook!